Write: Because all learning and teaching is a process built upon regular practice. It is a craft and an art, a discipline and a joy. Observe: Because teachers must discipline themselves to swat away distractions and remain in the moment, open to observing this process of practice in themselves and their students, observing what each is learning and teaching the other daily, understanding how it is that we are building our art. Revise: Because to revise our practice, strengthen our process, and embolden our personal art requires quiet, calm reflection time. Discover: Because in the midst of a messy moment, when our senses are intensified and a lesson is on the brink of chaos, we must trust our intuition to lead us to unexpected discovery, a way through. 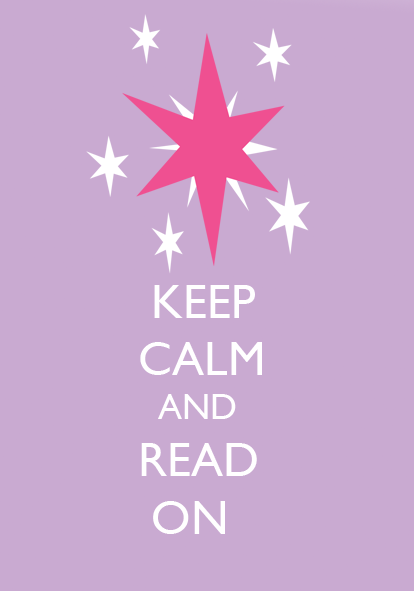 But How To Keep Calm? I am not a veteran teacher, but in my eleven years in the world of education, most of them spent on the front lines, there are have been countless books, articles, conferences, summer courses, speeches, films, and other professional development opportunities that have stirred my thinking about teaching — influences that challenged me to change my practice and be a better teacher, and others that reminded me I was already doing a pretty good job. Spending two years earning my MFA in Writing for Children immediately comes to mind as a pivotal growth experience. Learning to build digital storytelling and tabletop moviemaking workshops, too. These are events that I’ve added to an ever-growing mix of influences, ones I draw upon for inspiration, guidance and courage time and again. Teachers, like students, have their specialties and obsessions, just as we have our challenges. Obsessed with teaching my students to appreciate the learning process and to grow in their practice of how to read and write, I sought guidance from what others had experimented with and discovered. For this particular post, I returned to resources I’ve marked up the most. Books and sheets where I’ve said, YES! YES! on every page. These are resources for everyone – teachers, librarians, parents, writers – word lovers of all kinds. 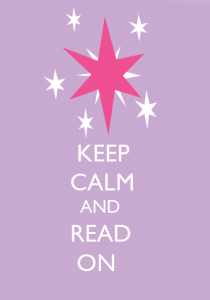 And let me tell you, you educators who teach our children, you parents who raise them, you adults who write for and about them — it is never too late to Keep Calm and Teach, Raise, Read, Write On. 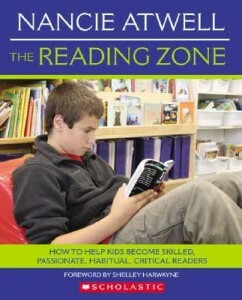 Nancy Atwell, author of In the Middle and The Reading Zone, has a unique way of helping students become “joyfully literate.” She’s the one who first showed me that there are two distinct modes of reading: efferent versus aesthetic. When we’re in efferent mode, we are reading in order to carry away meaning. In aesthetic mode, we are reading for pure pleasure, and a teacher can learn a great deal (arguably even more) in this latter mode about the way his or her students read. The Reading Zone argues that it is hard to be both engaged and distracted (aesthetic + efferent) at once, and that more time needs to be given to the aesthetic. In particular, Atwell shows us how to immerse ourselves in language, and to resurface so that we may construct personal relevance from the experience and learn about our preferences, “the foundation for anyone who will make of reading a personal art.” There are no rewards, no projects or discussion questions involved with aesthetic reading. There are, however, booktalks, read alouds, conversations, time, silence, comfort, and a voluminous library. Atwell makes a solid case for reading as being a student’s most important homework, and I would have to agree. The highest achieving students – yes, even in math and science — are those who devote leisure time to reading. In fact, the single most important predictor of academic success is the amount of time children spend reading books, more important than even economic or social status. The blank page can be enticing for some, but it is truly scary for most. Often, it’s not until we have a page full of ideas that we believe we have places to go. Writer’s block builds on a blank page. Perhaps we think we have nothing to say. Perhaps we have so much to say, we just don’t know how to begin arranging. These books by Aimee Buckner taught me strategies for how to help kids keep ideas safe, organized, and purposeful by using Writers’ Notebooks. The notebook represents a portfolio of thinking and a daily reference guide. It can be physical or virtual, but the point is that it honors the process of idea collection and supports students in the research, pre-writing, and drafting processes, for both narrative and nonfiction writing. No matter what type of genre, a Writer’s Notebook can jumpstart our thinking, help us find angles in our stories, and allow us to reflect on how grammar works. These notebooks set a foundation of independence and fluency of thought, so that students move on from our class no longer needing us to constantly reassure them when to write or how. 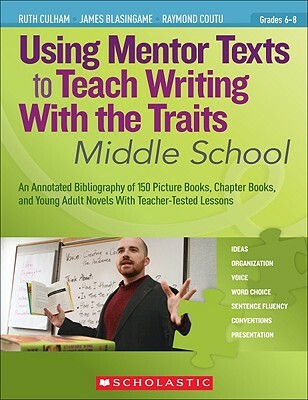 The Writer’s Notebook develops a student’s writing endurance through constant practice. It is also a brilliant way to prepare kids for how to talk about literature. 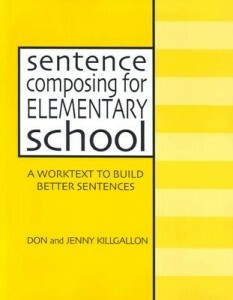 I sang hallelujah when I found Don and Jenny Killgallon’s workbooks on how to teach what makes a sentence work. As one who obsesses over the minute details in order to create a winning big picture, I could not wait to share what I’d discovered within the pages of these reference texts. I teach students that every sentence has a Base (subject + predicate) and that the parts around that base are different types of Tools (words, phrases, or dependent clauses) that can be positioned at the opening, closing, or split between the subject and predicate. Basically, I say, contained within every sentence is a single story and you can manipulate that story by adding content and style, with a few punctuation rules. Lightbulbs! 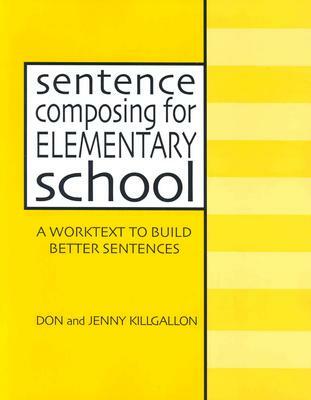 I absolutely love to show students what this looks like in the pages of their favorite books – and we imitate authors’ styles, trying on their sentences with our own content to get a feel for the small stuff: rhythm, sound, length, punctuation effects, arrangement, tone. This is when they finally get that Voice comes from every single decision we make on the page, and those decisions start with each sentence on a page. If we can write one great sentence, we can write the next, until we have a paragraph, until we have a page. 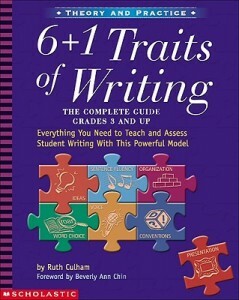 Ruth Culham is a genius at identifying techniques and processes that teachers need to effectively teach the writing process and the skills contained within. 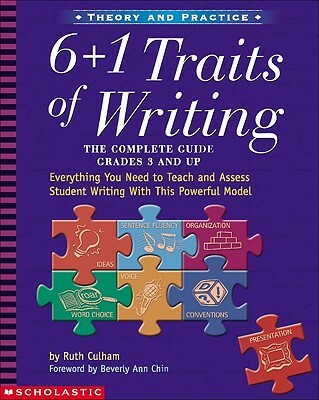 Within her reference texts, she shows us how to weave the 6+1 most essential writing traits (Ideas, Organization, Voice, Word Choice, Sentence Fluency, Conventions, and Presentation) through the writing process. Culham was also the first person I discovered who validated that it was perfectly fine – no, in fact perfection — to use picture books as mentor texts, no matter whether with a kindergartener or a high school senior. The picture book experience just makes sense for kids; they are accessible to everyone, avid and struggling readers alike. My LAWP 2009 Institute colleague Ami Sczerense (speaking at CATE on the Common Core Standards!) pointed me toward Nancy Dean’s brilliant workbook. It is another affirmation that Voice is in every single decision we make on the page. 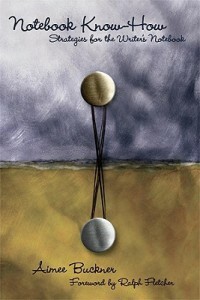 (Within our diction, details, figurative language, imagery, syntax, and tone.) 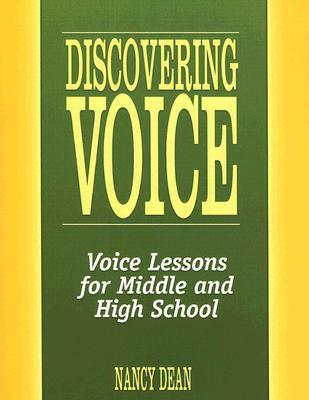 Through this workbook, Dean breaks down the elusive quality of voice that makes reading interesting and writing distinctive. We educators, parents, writers and word lovers base our teaching of reading and writing in what we know as practitioners of these personal arts. But if teaching, writing for, and raising children have shown us anything, it’s that we, too must commit to being lifelong students, not only of our personal art, but also of our audience. We must surrender, young grasshoppers, to this process, this journey, which builds both discipline and joy.